The name Kuźniewski (the ź is pronounced like the "s" in vision: kooʒ 'nyev skee) is derived from the word "Kuźnia" which means a "forge", so Kuźniewski could be interpreted to mean "Family of the Forgemaster" (not "blacksmith," that would be Kowalski). The Kuźniewski (Kneski in America) family is from the Płock Region of Mazovia (Mazowsze) Provence, northwest of Warsaw, in Poland. All research, including recent Genographic Project DNA testing, indicates that the Kuźniewski's have been in Mazovia for time immemorial. The family name was changed in America by Anton Kuźniewski, of Koziebrody, to "Kneski" in the 1920s. Kneski's in America, with ancestors from Koziebrody, belong to the genetic Haplogroup 12a. National Geographic's Genographic Project literature explains that "haplogroup 12a is defined by a marker known as P37.2. This marker appeared In the Balkans about 15,000 years ago, and is still most commonly found there today. The P37.2 marker likely distinguishes ancient human populations who migrated to Balkan refugia during the glacial maximum at the peak of the last ice age. With much of Europe locked up under frigid sheets of ice, humans sought survival in isolated southern European regions that remained habitable. During the 10,000 years that the ice sheets were at their maximum, individuals living outside of the warmer refugia would have been unable to survive and were thus effectively eliminated from the gene pool. This reduced the genetic diversity of the surviving human populations and helped those lucky lineages [such as the Kuźniewski's] to become fixed at higher frequencies in subsequent generations. When the glaciers finally began to recede, the 12a lineage expanded northward [towards Poland] and eastward to repopulate Europe, and carried the marker P37.2 along for the ride. Evidence of these journeys can be seen by the marker's significant presence in western Eurasia. Yet today Haplogroup 12a remains primarily a central and southeastern European lineage and is found in highest frequency in those regions." Humans have lived in the glaciation disrupted environment of north Central Europe for a long time. In prehistoric and protohistoric times, over the period of at least 800,000 years, the area of present-day Poland went through the Stone Age, Bronze Age and Iron Age stages of development, along with the nearby regions. Settled agricultural people have lived there for the past 7500 years, since their first arrival at the outset of the Neolithic period. Following the earlier La Tène and Roman influence cultures, the Slavic people have been in this territory for over 1500 years. Eventually, in the Middle Ages, the area came to be dominated by Slavic tribes and finally became home to a number of West Slavic Polish tribes that formed small states in the region, beginning in the 8th century. Civitas Schinesghe is the first recorded (in writing) name of Poland originating from 991-992AD. The original document is missing, but it is mentioned in a 11th century papal regesta called Dagome iudex, according to which, Duke Mieszko I of Poland had given the guidance of unam civitatem in integro, que vocatur Schinesghe ("a whole state, which is called Schinesghe") over to the Holy See. The establishment of a Polish state is often identified with the adoption of Christianity by its ruler Mieszko I in 966, over the territory similar to that of present-day Poland. The Kingdom of Poland was officially formed in 1025. The historic region of Mazovia (Mazowsze), home of the Kuzniewskis, was situated astride the middle course of the Vistula River. The historical capital of Mazovia is Płock, being the oldest town in the region, and was the former residence of Mazovian princes. During the 9th century it was inhabited by the Mazovian tribe, and it was incorporated into the Polish state in the 10th century under the Piast ruler Mieszko I. The Płock Cathedral was built in the first half of the XII century in which the royal chapel is situated together with the sarcophagus of Polish monarchs. The cathedral in Płock is one of five oldest Polish cathedrals. In years 1079 to 1138 Płock was also the capital of Poland. “Kuźnia” means a forge in Polish. Above left: 14th century Forgemaster in a forge equipped with an anvil, hammer and bellows. 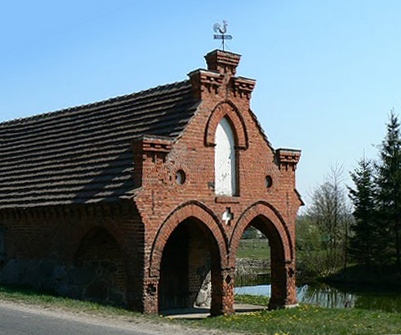 Above right: An historic kuźnia in Poland. In the 13th century, the nearby Castellany (the area protected by a castle) of Raciąz was amongst the most important in Mazovia. Within its borders lied forests, lakes, arable fields, and numerous settlements, including Koziebrody. Residents of the Castellan of Raciaz were responsible for defending the city, (up until the year 1454), and a regional judicial authority received the annual tribute. Also in the 13th century, fairs began to be held in Raciaz, into which drifted foreign merchants and local people. These fairs would have a significant impact on the town as it encourgaed settlement in the surrounding areas. Various trades, such as weavers, attract buyers, who are willing to travel to obtain quality canvas and cloth. An important branch of industry in Raciaz was also the production of iron; perhaps the Kuzniewski’s obtained their surname of Kuznia (forge) in connection with this new industry. 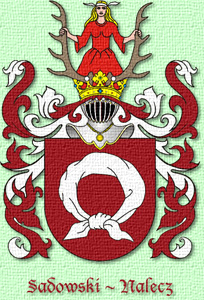 Two branches of the the Kuźniewski family lineage may belong to heraldic clans with a coat of arms ("herb" in Polish). 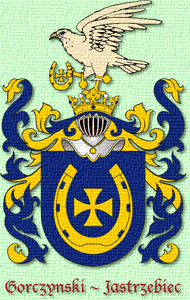 They are the Sadowski family, of the clan Nałęcz, and the Gorczynski family, of the clan Jastrzębiec. As a result of the tribal (clan) system, which influenced all the countries of the Polish Commonwealth, the nobility consisted of more than forty thousand families who use about seven thousand different arms, including coat of arms of Western origin. A second result of this system was that homonymous families with surnames derived from estates with identical names, can bear different arms depending upon the clan to which they belong, such as the family Koźniewski, from Ciechanów, and Kuźniewski, from Koziebrody, 27 miles due west. The family Kozniewski is part of the Ostoja clan. Nałęcz is a Polish coat of arms from the 12th century (like the Abdank, Leliwa, Radwan, and Bogorya coats of arms) that represented unity and harmony. 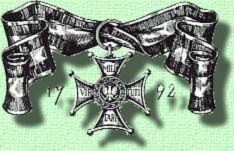 It was used by the Gembiccy, Ostrorogowie, Szamotulscy, Czarnkowscy, Raczyńscy, Dworniccy, Sadowski, Łowińscy, and other families. It is traditionally described as a silver shawl, tied, on a red background. Most versions had the shawl tied downwards; some were tied upwards. Earlier versions and some modern ones depict the shawl untied. The shawl is similar in the shape to Teutonic image of Rune Othila, the Rune of a Fatherland. The Nałęcz arms were initially connected with Greater Poland. The Nałęcze were accused of murdering Przemysł II in 1296. They also allied with Brandenburg against Władysław I the Elbow-high (Władyslaw Łokietek), and after the death of Louis I of Hungary waged war against the Grzymalits, attempting to put Ziemowit III of Mazovia forcibly on the throne of Poland. The best-known Poles who bore these arms were Joseph Conrad (Korzeniowski) and Sędziwój Ostroróg. The Nałęcz relief is on the Guard House building in Poznań. "According to Paprocki, this armorial bearing has the name Jastrzębiec because the clan's ancestors, while still pagans, bore on their family crest a hawk (Jastrzab in Polish). But later, in the days of King Bolesław the Brave, circa 999, when pagan enemies hurled abuse upon our forces, saying, "Send forth one from among you who is willing to fight for Christ in a challenge against one of our men." Having heard this a knight, one Jastrzebczyk scion of the Jastrzebiec clan, moved by the fervor of faith and the praise of God, invented shoes for the horses' hooves and, having shod a horse with them, succeeded in forcing his way up the mountain. He fought the Pagan, who had hitherto been jeering haughtily, captured him, and brought him to the King. After he had given the other soldiers of the Polish cavalry this method, when they had shod their horses and made their way up the slippery mountain, covered with ice, they destroyed and defeated the enemy. As a reward for his ingenuity he received from that King a variation of his arms, adding a horseshoe with a cross to the shield and elevating the hawk to the helmet. This is what Paprocki and all others who wrote about these arms say. 1200’s – No feudal system in Poland as in rest of Europe / Peasants were able to rise to a different social status. 1237 ~ Płock, the medieval residence of first Dukes of Masovia, receives its town rights. 1266 ~ Poland was criticized by the Church for allowing Jews to live without restrictions in Poland. 1300s ~ Poland declines to participate in the Crusades. 1348 ~ Poland not affected by the Great Plague (Black Death), because most of population lived on farms. 1440 ~ Poland referred to as an “Amazon Society” because of the atypical position of women in public life, eg. College Professors, etc. 1997 ~ The internet allows for the creation of the Clan Kuzniewski website connecting hundreds of Kuzniewski's and Kneski's around the globe for the first time ever. Ostroleka (most), Płock (most), Siedlce (most), and Skierniewice (small part), are combined to form the new province of Mazovia. 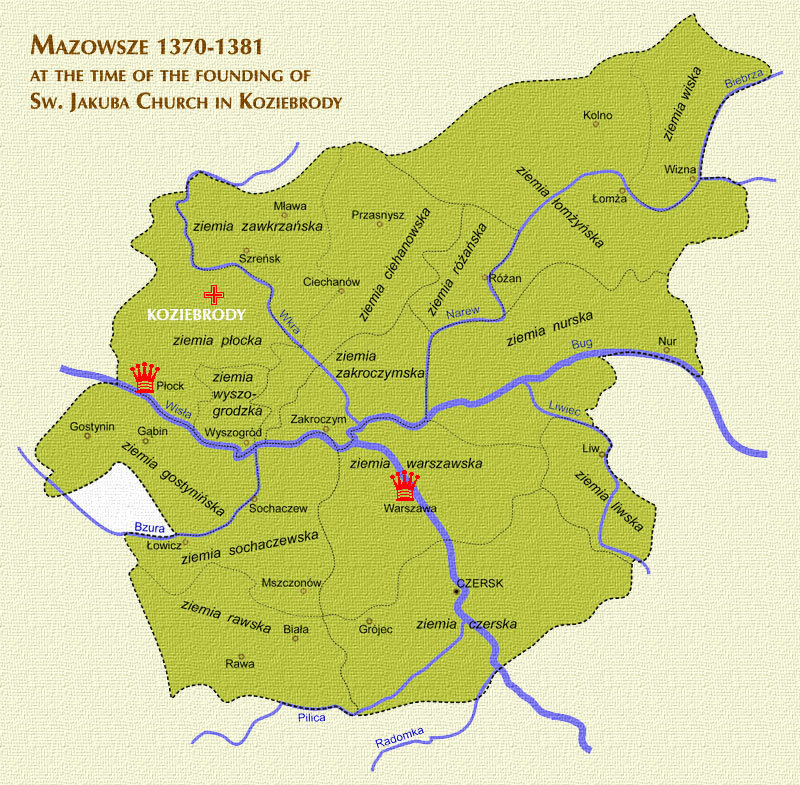 Map of Mazovia, 1373 A.D.
Mazovia (Mazowsze in Polish) lies in the center of present-day Poland in the great central plain between the Warta and the Vistula Rivers. The boundaries of this region reach from the former provinces of Lodz, Wroclawek and Brodnica in the west, to the Belorussian border in the east, with Warsaw in the middle. This land was originally inhabited by two Western Slavic tribes, the Mazovians and the Kuyavians. The Mazovians occupied the land between the Bug and Vistula Rivers. During the 15th and 16th centuries this tribe migrated to the forests of western Lithuania, particularly to Podlaskie, and some others settled in the Duchy of Prussia, which was the Mazurian Lakes district, located to the north of Mazovia. The dance of Mazovia is known as the Mazurka. Mazovia was incorporated into Poland in the early days of the Piast rule. It became of central importance to the Crown when two Polish kings, Władysław Herman and Bolesław Krzywousty, had their seat in Płock (1079-1138). Mazovia became one of several rival principalities when King Krzywousty divided the country between his sons. Kazimierz Wielki regained control over the region, though it was ruled by Mazovian dukes until the last of the line died without an heir in 1526.